This is the first frame of 2018 for Porter Cycles. I had been wanting a bike that could handle tough Winter conditions, and that could happily handle trail riding the rest of the year. This frame does all of that and then some. 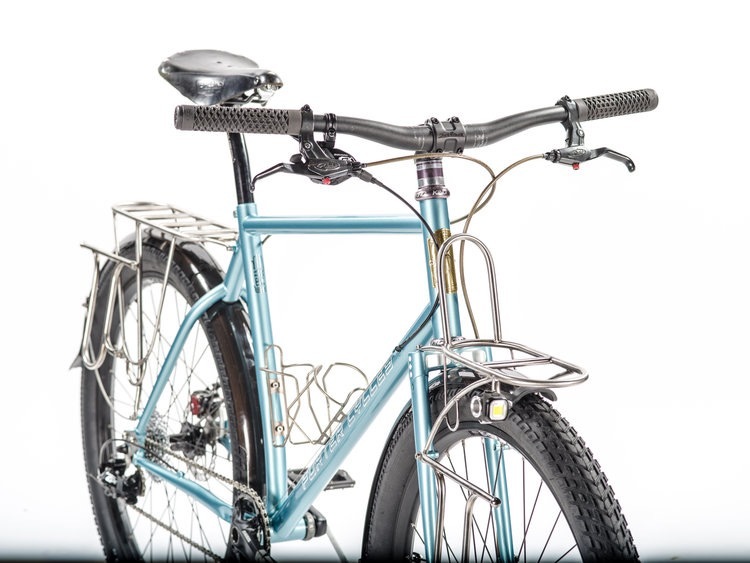 This is one of two bicycles I exhibited at the North American Handbuilt Bike Show in Hartford Connecticut. Porter Cycles was very pleased with the range of incredibly positive feedback this frame received. The geometry is set for low trail for easy handling and good weight bearance over the front wheel, with an elevated bottom bracket to easily clear rough terrain. 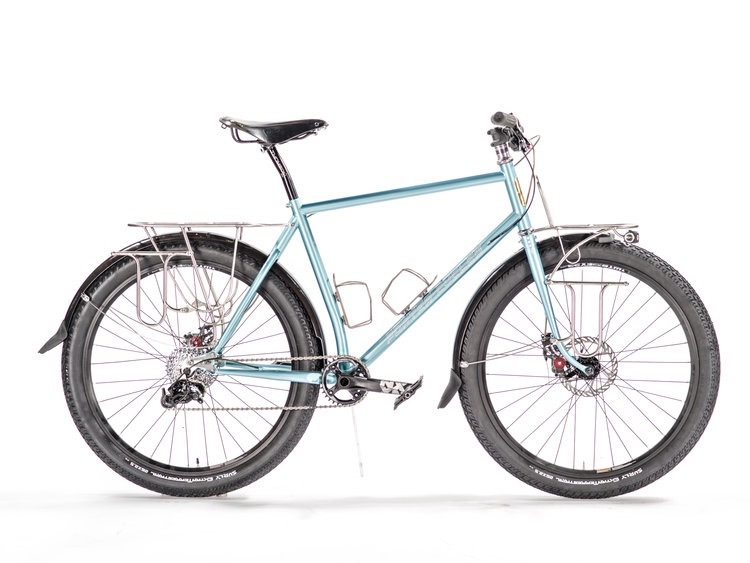 With 26" wheels, 2.5" tires, and a full 1 x 10 SRAM drive train, this bicycle can hand a wide variety of riding environments. 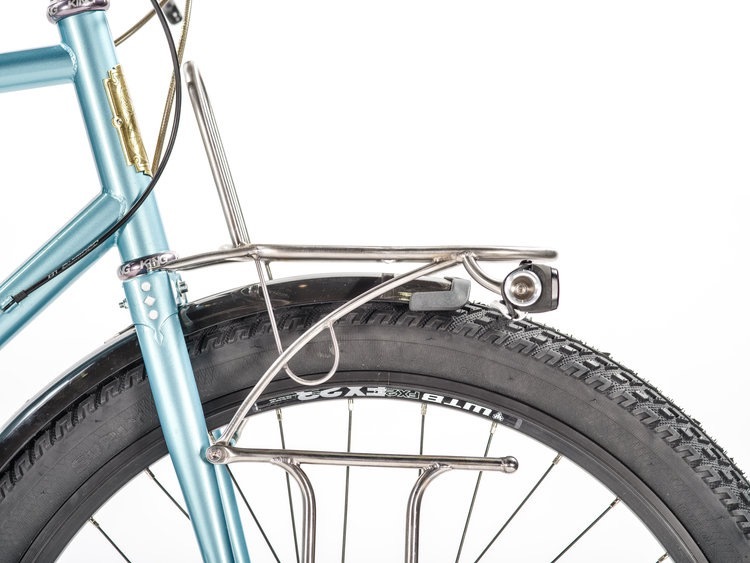 A special feature of the custom stainless steel racks is a set of removable pannier hangers that can be mounted to the forks, or to the rear rack depending on the riders cargo loading desires. All photos here are credited entirely to Brad Quartuccio. Thank you Brad!